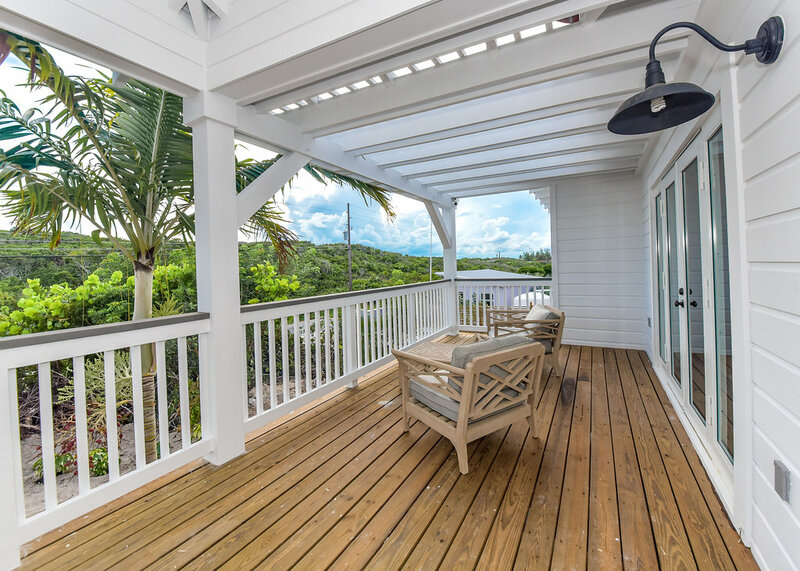 Taking advantage of the southwest facing front of the house, the Sunset Porch is a unique space to relax and enjoy the wonderful sunsets of The Bahamas. French doors open from the great room out on to the porch where a set of Kingston lounge chairs from Restoration Hardware help set the mood for that late afternoon cocktail hour. Close the doors for a private conversation or keep them open to feel the breezes from the oceanside flow through the house.